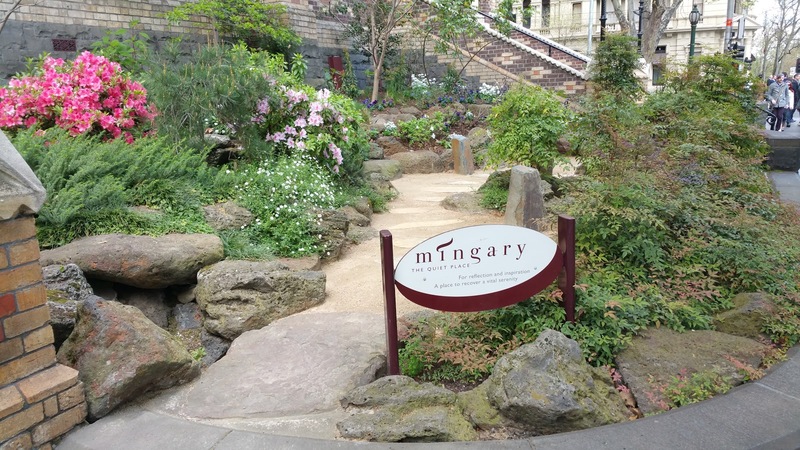 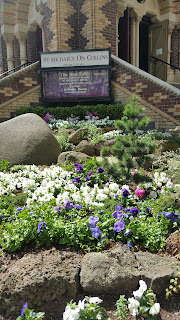 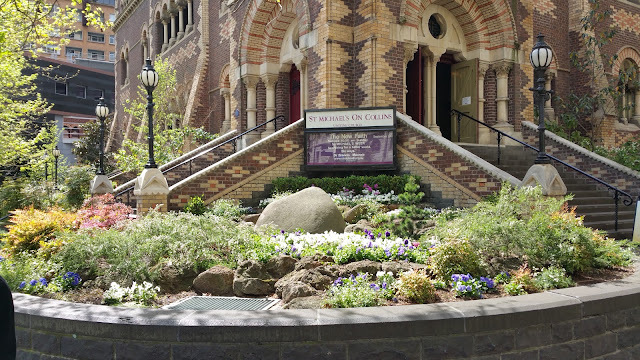 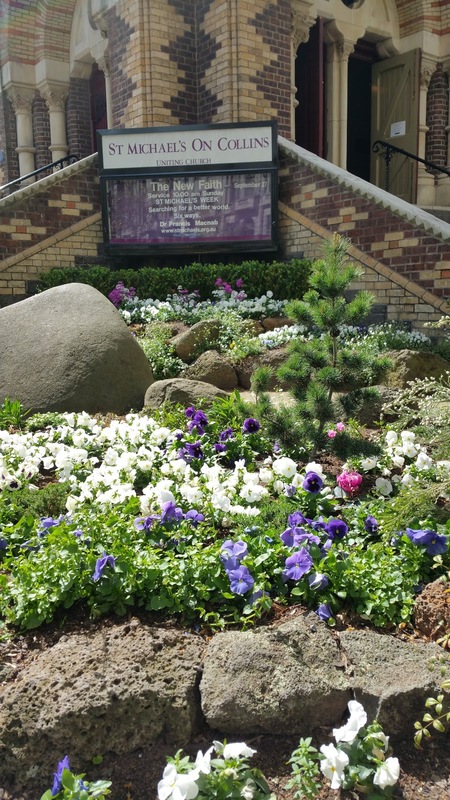 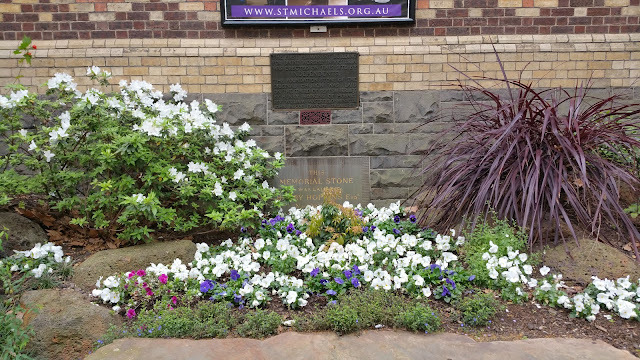 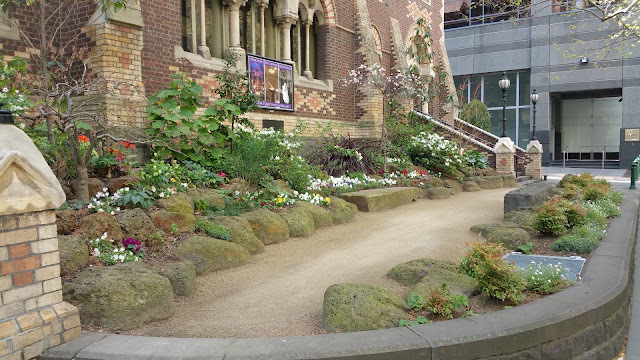 I have been taking care of the garden at St. Michael's Church in Collins Street in Melbourne, for the last 3 years. 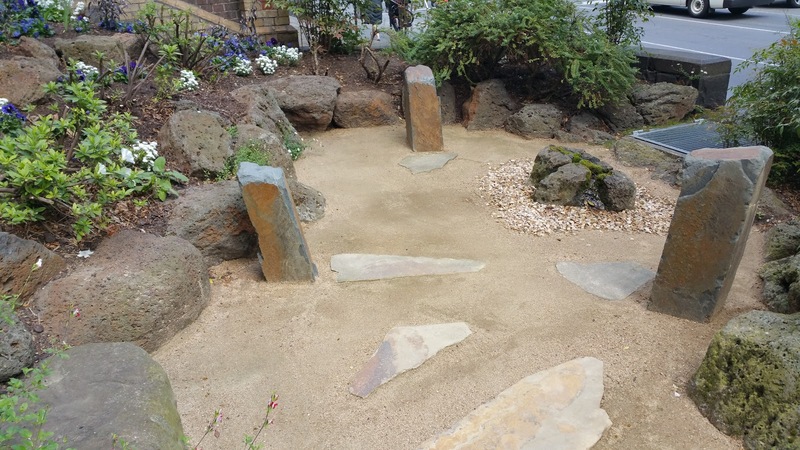 I recently did some more landscaping in two sections of the garden. 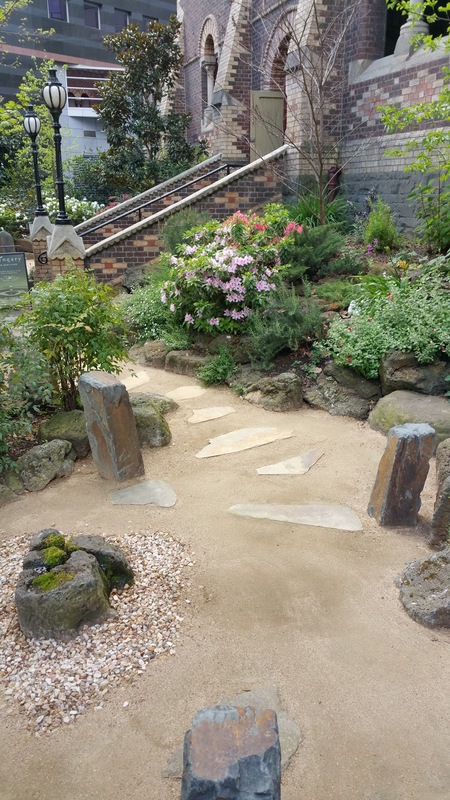 We removed some old tired concrete and installed these rock pillars as seats. 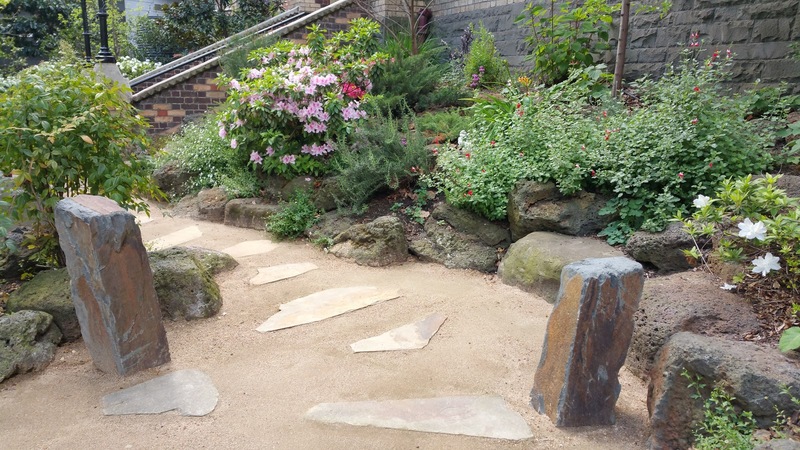 After re-laying these pavers, which we had pulled up, we finished off with compacted granitic sand. 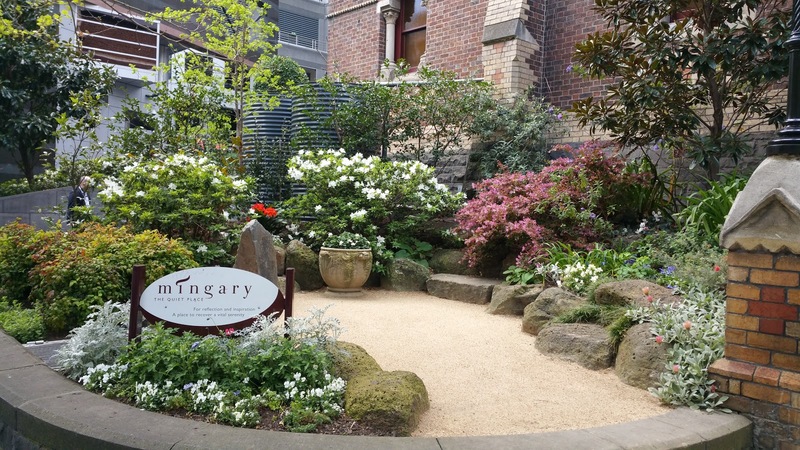 Spring is a great time in this garden, with many city goers enjoying the space as a sanctuary right in the middle of the city.